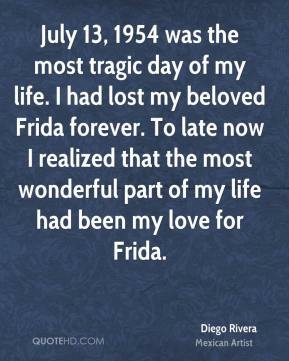 I did not know it then, but Frida had already become the most important fact in my life. 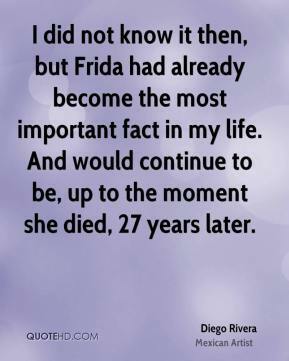 And would continue to be, up to the moment she died, 27 years later. If I ever loved a woman, the more I loved her, the more I wanted to hurt her. 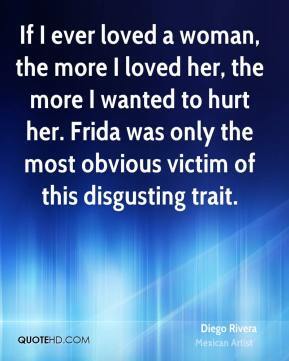 Frida was only the most obvious victim of this disgusting trait. Through her paintings, she breaks all the taboos of the woman's body and of female sexuality.